NEW YORK CITY (Thursday, June 19, 2014) – The National Thoroughbred Racing Association (NTRA) today announced that the estimated purse for the 16th Daily Racing Form/NTRA National Handicapping Championship (NHC), presented by Racetrack Television Network, Sovereign Stable and Treasure Island Las Vegas, has been increased 25 percent to a record $2 million. The 2014 NHC purse was $1,590,000. An additional $200,000 in previously announced prize money will be distributed as part of the 2014 NHC Tour, bringing the estimated NHC and NHC Tour purses to $2.2 million. The purse increases are fueled by robust participation in NHC qualifying contests by NHC Tour members (Tour membership is a requirement to be eligible to qualify for the NHC). The 16th NHC will be held January 23-25, 2015 at Treasure Island Las Vegas. The 2014 NHC Tour schedule and the official rules for the 2015 NHC have been posted online at NHCTour.com. For the second year in a row, the Championship will feature a three-day format with a Final 50 and Final Table of 10. Three tournaments scheduled for Saturday, June 21, offer NHC berths, including two online contests currently open for registration. DRF Bets (DRFBets.com) hosts the first of two Super Summer Challenge preliminary rounds leading to a July 5 final with four NHC spots up for grabs and HorseTourneys.com presents a “Live Format” NHC Qualifier with three guaranteed NHC entries available. The Belmont Park Handicapping Challenge at Belmont Park is sold out. 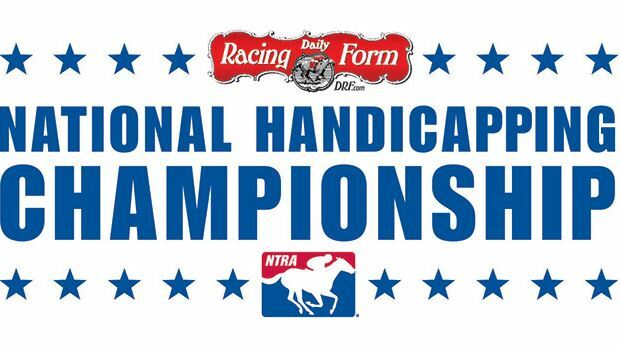 In its 16th year, the Daily Racing Form/NTRA National Handicapping Championship, Presented by Racetrack Television Network, Sovereign Stable and Treasure Island Las Vegas is the most important tournament of the year for horseplayers. There are no “buy-in” entries at the NHC. It is the culmination of a yearlong series of NTRA-sanctioned local tournaments conducted by racetracks, casino racebooks, off-track betting facilities and horse racing and handicapping websites, each of which sends its top qualifiers to the national finals. Every year, the NHC winner joins other human and equine champions as an honoree at the Eclipse Awards. The 15 NHC Champions since the event’s inception, in chronological order, are Steven Walker, Judy Wagner, Herman Miller, Steve Wolfson Jr., Kent Meyer, Jamie Michelson, Ron Rippey, Stanley Bavlish, Richard Goodall, John Conte, Brian Troop, John Doyle, Michael Beychok, Jim Benes and Jose Arias.